Award-winning Edinburgh band The Blueswater will perform five high-energy, late-night gigs at The Jazz Bar. Influenced by gritty, old-school rhythm and blues they blend the Chicago sound of Chess records with the earthy, droning grooves of Mississippi to create a style that is truly unique. Thick guitar riffs and frenzied harmonica solos are built around driving rhythms to create raucous, high-energy performances. ***** (ThreeWeeks). 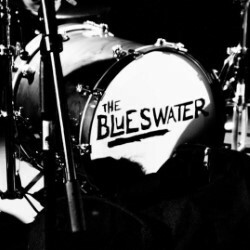 'Edinburgh act The Blueswater have built a solid reputation in blues circles, both in Scotland and further afield' (Scotsman).